Mel P. Barkan's practice is concentrated in complex commercial, primarily civil, litigation, frequently with criminal and RICO implications and allegations, and often involving matters of international law and trade as well as in matters involving securities, real estate, transportation and partnership matters. He has litigated matters on numerous occasions in courts outside of the state of New York as well as in administrative agencies and bankruptcy courts. Before joining Windels Marx, Mr. Barkan was the head of the litigation group at Brauner Baron Rosenzweig & Klein for over 20 years. Prior thereto, Mr. Barkan was Assistant Chief of the Civil Division of the United States Attorney's Office for the Southern District of New York and was with the law firm Weil Gotshal & Manges. He was a law clerk for United States District Court Judge Murray I. Gurfein. He has authored several New York Law Journal articles and taught Practicing Law Institute and securities and antitrust trial advocacy programs. 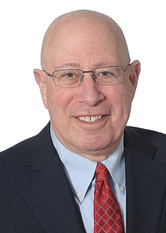 Mr. Barkan has also been appointed a mediator and arbitrator by the United States District Courts for the Southern and Eastern Districts of New York, as well as by the United States Bankruptcy Court for the Southern District of New York. Mr. Barkan was, for two years, the Chair of the New York City Civilian Complaint Review Board (C.C.R.B.). For his work on that board, Mr. Barkan was acknowledged by Mayor Rudolph Giuliani as "deserving tremendous applause" for, among other things, reducing the C.C.R.B. 's backlog of filed complaints by 75 percent, improving the professionalism of the staff, developing a successful mediation program, and supervising the preparation and release of three studies that resulted in improved police procedures. Mr. Barkan serves as a director of the Herman Goldman Foundation, The Jewish Home LifeCare System and is Chairman of its Community Services Division, The Burpee Foundation and The Bridge, Inc., a social service organization that provides housing, vocational training and other programs for almost 2,000 people, including U.S. military veterans, suffering from mental illness. Mr. Barkan has previously served as a director of the Ball Foundation and the Urban Business Assistance Corporation.